Children should always be supervised while playing bubble soccer. Always play on a safe level surface such as a grass soccer field. If indoor, play on astro turf, or something that is soft. If playing on a hard surface, ensure that players are wearing knee pads. Never play on pavement or any surface that could easily tear the bubble soccer balls. The playing field should not be close to streets or vehicles. Inspect the field for any holes in the ground, glass, or other dangerous objects. Do not allow players to go in a pool, lake or any body of water. Players should not be under the influence of drugs or alcohol. 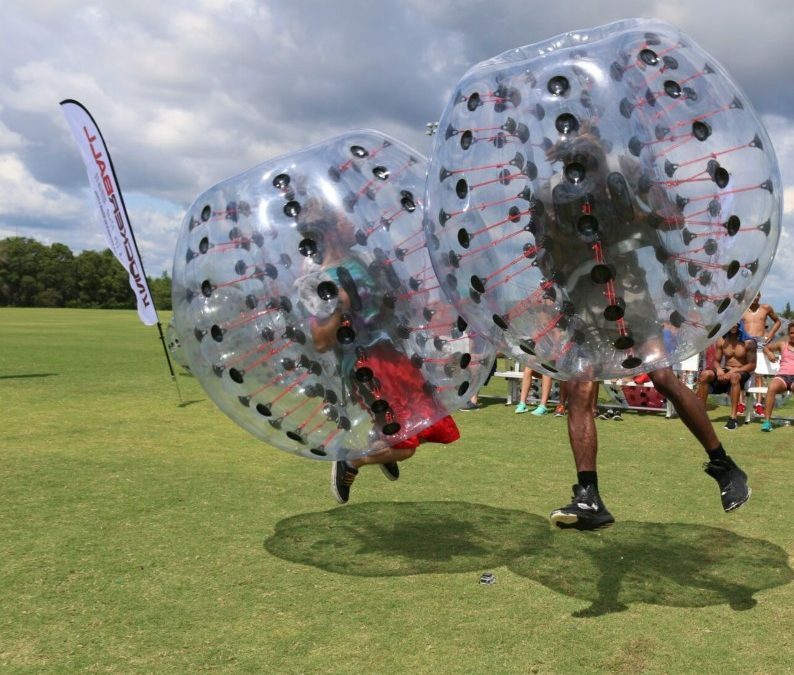 There should never be more than one person in a bubble soccer ball at once. Ensure the bubble soccer ball is properly inflated before using. If a player cannot easily fit inside a bubble soccer ball, so not allow them to force their body into the ball. This can put their safety at risk and potentially cause the ball to break. Players should not wear glasses while playing as they can break upon contact with another player causing harm to themselves and the ball. Players should remove any share accessories or objects from their body or clothing before playing. Players should be wearing suitable athletic attire and tennis shoes. Players should always hold onto the inner straps of the bubble ball. When bumping into each other, players should not have their body tilted too far forward. This can cause head to head collisions. Players should not attempt to perform any tricks or stunts unless supervised and given permission by the bubble soccer owner. Pregnant women should not play bubble soccer. Players with any medical conditions or injuries should consult a doctor before playing.